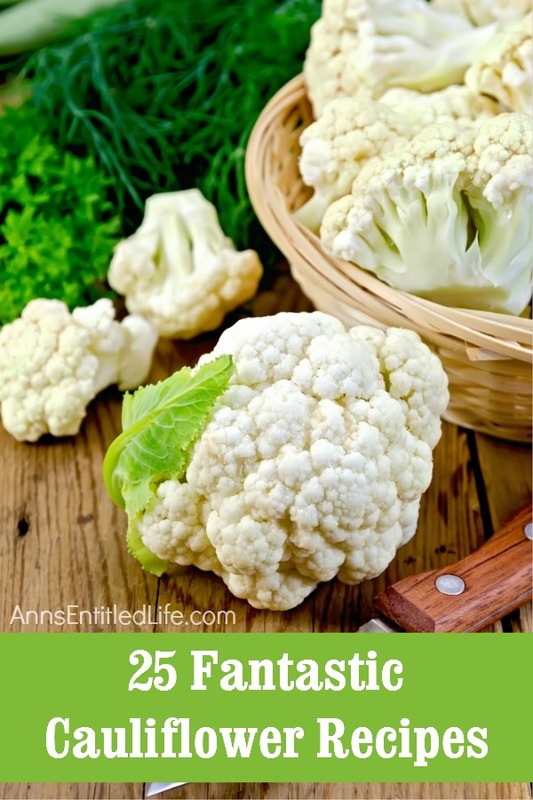 Perk up plain cauliflower with one of these 25 fantastic cauliflower recipes. From soups to casseroles, biscuits to fritters, there is a cauliflower recipe on this list sure to please even the most finicky eater! Cauliflower is a vegetables that produces annually, by seed. The oldest record of Cauliflower dates back to the 6th Century BC! 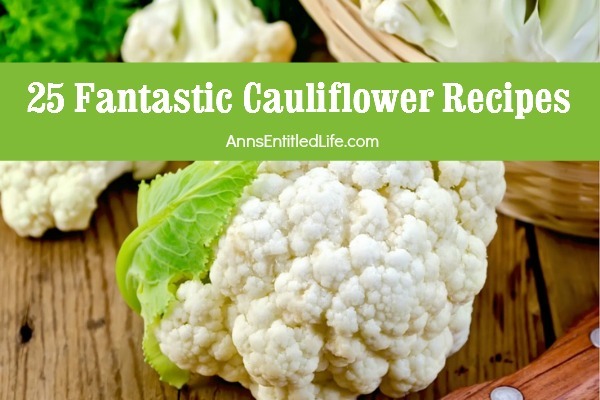 Cauliflower comes in white, orange, green and purple varieties. Cauliflower is low in fat, low in carbohydrates and high in dietary fiber and vitamin C.